This page contains all kind of information to debug any problems that could occur during printing. Please read it carefully if you’re experiencing any problems. Completely empty your browser history. Use CTRL+F5 (Windows) or Cmd+Shift+R (Mac) to Hard Refresh your browser. You might need to repeat this step on every page where DYMO plugin is running. Do you have the latest version of DYMO Label Software installed on your OS? If not: Install DYMO Label Software version 8.7.2 or higher. Is the DYMO Web Service running? Are you able to print from the DYMO Label Software on your OS? If not: Reinstall DYMO Label Software. Is the DYMO LabelWriter connected to your OS? Do you have enough labels in your DYMO LabelWriter? In other words: is the printer not out-of-paper? If not: Insert new labels in your LabelWriter. Please contact us if you’ve checked all 5 above and you’re still not able to print. Copy-paste the DEBUG log inside your support ticket. Read the following article when you get a notification that the DYMO Web Service is not working. Have you selected a printer for the label you want to print? If not: Select a printer. Is the printer connected to your OS? Is the DYMO Web Service running on your OS? Please contact us if you’ve checked all 4 above and you still get this error message. WooCommerce DYMO Print is able to create a preview of the selected label. This is a preview of the label as you’ve created it in DYMO Label Software. It’s does not show any realtime WooCommerce data, as it is just an image. The label you’ve uploaded is corrupt. Solution: We advise to upload the label again. The label contains an image. Solution: There is no solution for this problem. You’re using iThemes Security or another plugin which blocks connections to the label-file or DYMO Framework. Solution: Check your settings in iThemes Security. 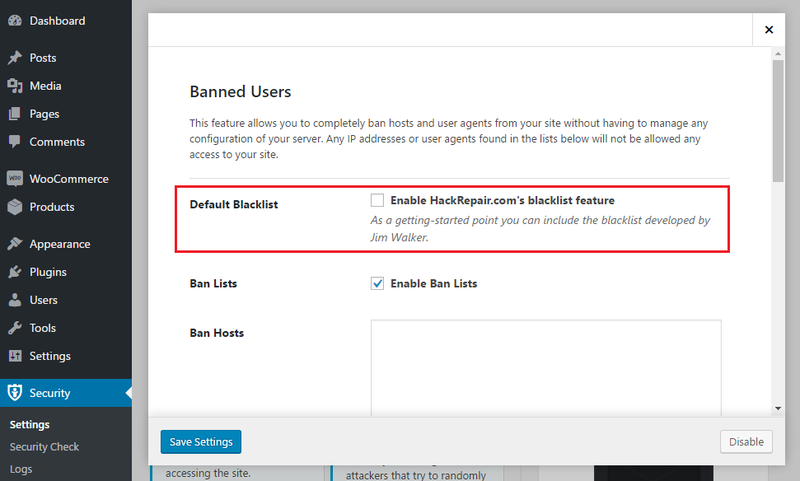 If you’ve iThemes Security plugin installed it could block all local connections with the DYMO Web Service. In this case the plugin will not print any labels. See this animation for solution. Please send us a support request if you’re still not able to print labels after reading the documentation. Copy-paste the DEBUG log from the plugin inside your support ticket.